On the night before I drive to Richmond, former Virginia Governor Terry McAuliffe has graciously agreed to host my annual Back-to-Richmond fundraising event. Unless I have a primary opponent, every single dollar raised will go to electing new Democrats to the Virginia House of Delegates and shoring up Democratic incumbents in competitive districts. Please help principled progressives running in competitive races in 2019! The Back-to-Richmond event will be at the beautiful home of Jack Taylor in the Beverly Hills neighborhood of Alexandria (address will be shared upon receipt of RSVP). Get them now. The cost to see Presidential candidate McAuliffe will undoubtedly increase. And please consider joining the host committee in formation. 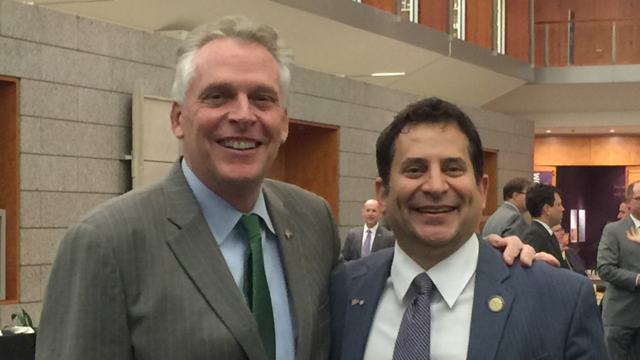 Private VIP Reception with Governor McAuliffe! 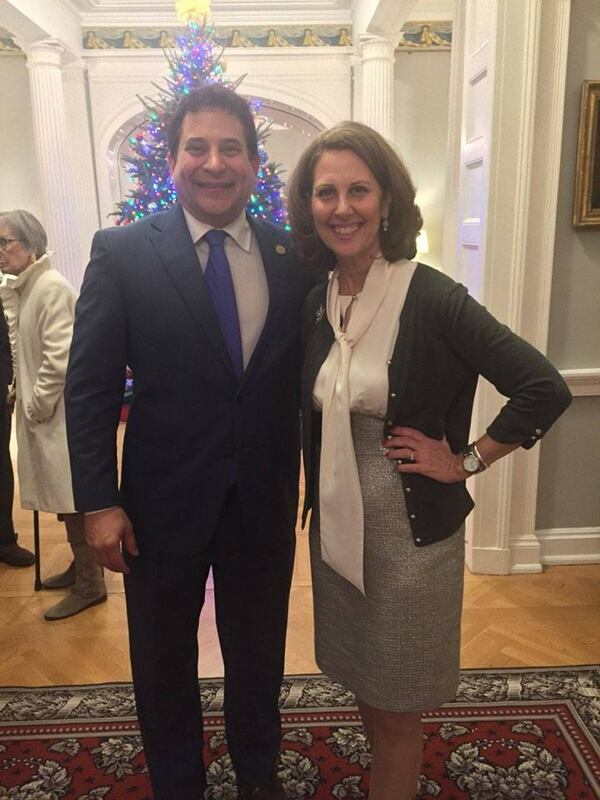 Congratulations to my friend, Delegate Eileen Filler-Corn, on her election as the new Democratic Leader. Eileen will play a critical role in leading us to a Democratic majority in 2019. 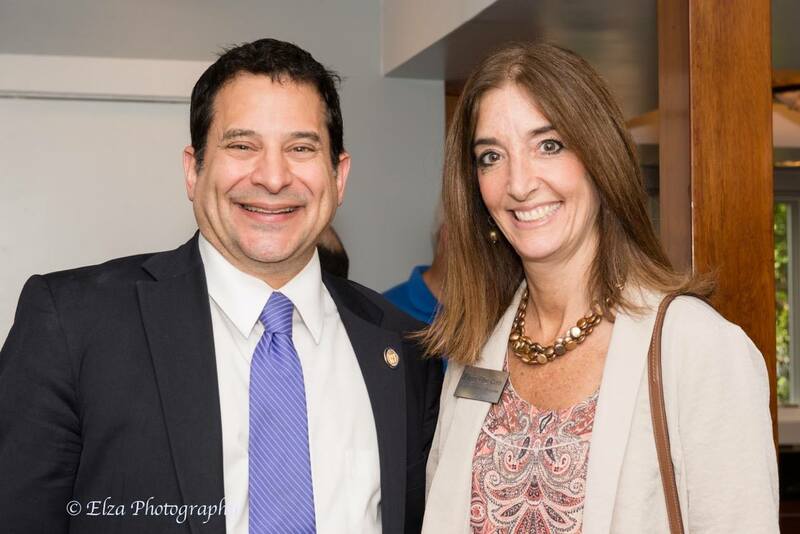 A hard worker, prodigious fundraiser, and principled legislator, Eileen was first elected in 2010. She will replace our current Democratic Leader David Toscano, who will retire at the end of the year. Eileen is expected to lead our caucus like a conductor leading a symphony, bringing out the best skill set out of every member of our talented 49-member caucus. I've enjoyed working with Eileen in the past and look forward to doing so in her new capacity. 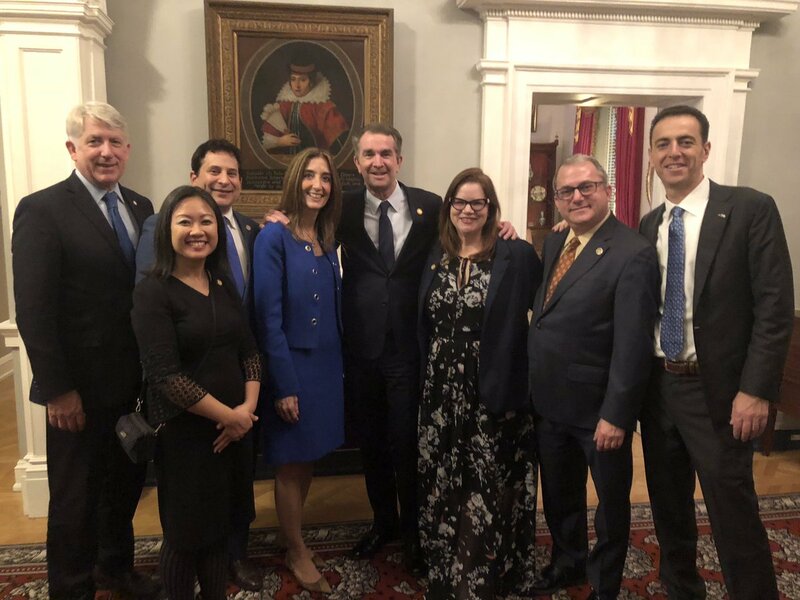 Delegate Eileen Filler-Corn is the first woman to ever lead a political caucus in the 400-year history of the Virginia House of Delegates and the almost 250 years of the Virginia Senate. Frankly, it's about time. Illegal Republican racial gerrymandering has long prevented an even playing field in Virginia. 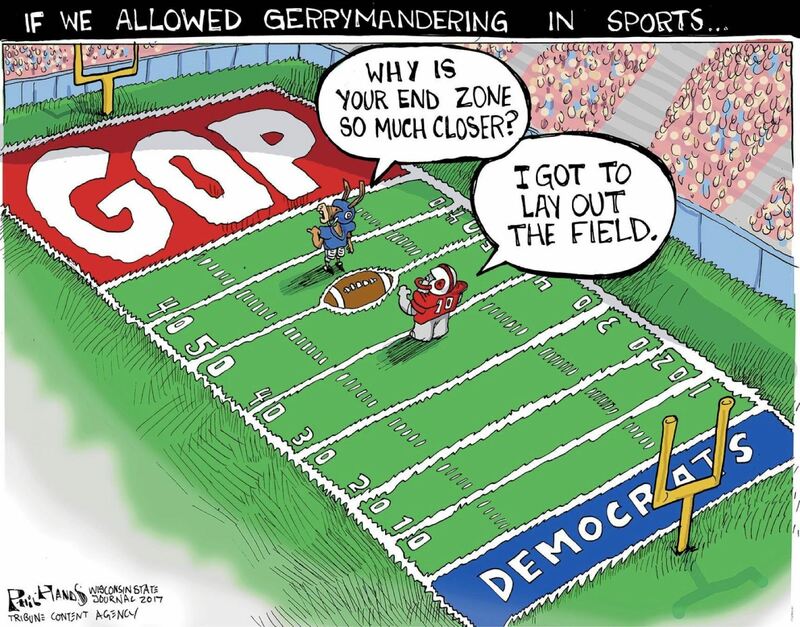 Virginia Republicans, after profiting from the gerrymandering they had imposed on Virginia since 2011, recently asked the special panel of federal judges overseeing the redistricting process to allow them to continue their unfair maps just one last time. After all, they intimated, with 2019 the last statewide election prior to the 2020 census and its decennial redistricting of lines across the country, just one more election would have made the GOP’s decade-long rigging of Virginia elections a complete success. But I’m happy to report that last week, the federal judges rejected the Republican demand that Virginia stop its court-mandated redistricting. And hours later, the court-appointed expert released various proposals to remediate the GOP’s illegal racial gerrymander. Dr. Bernard Grofman, the court-appointed "special master", a political science professor at the University of California-Irvine, issued a 131-page report offering two or three options for redrawing Delegate district lines in each of the Richmond, Petersburg, and Hampton Roads areas, respectively. No Northern Virginia district was affected. The court is scheduled to review the plans on January 10, 2019. My quick and dirty analysis of the proposed fixes is that they are likely to net Democrats about 2-3 additional seats in the 2019 elections. And we only need two to have the majority! But nothing is certain, of course. It all depends on what you and other Virginians do to help. And some of the district lines will make it harder for some of our Democratic incumbents to maintain their seats. Click the following links to view Dr. Grofman's report and the Virginia Public Access Project's visualization of Dr. Grofman's various plans. VPAP analyzes the partisan impact of each proposed change in each district by using the vote count for precincts in the 2012 Obama elections. It’s anyone’s guess if that is the best measure to use. I would think either 2013 or 2017 data are better guides, but I haven’t seen that analysis done. In any event, I’m glad we are finally moving forward to erase this stain on Virginia. Do you qualify for Medicaid Expansion? Full benefits for new Medicaid recipients begin on January 1, 2019. You may want to check if you are one of the hundreds of thousands of Virginians who are newly eligible for Medicaid because we in the legislature finally passed expansion in 2018. Every Democrat voted for it, as did a smattering of Republicans. If you think you might be eligible for the New Health Coverage for Adults, take a look at the information on the page linked above to find out more about it. You can check to see if you or other members of your family might qualify for health coverage by answering six questions about your income and family size using the Screening Tool. 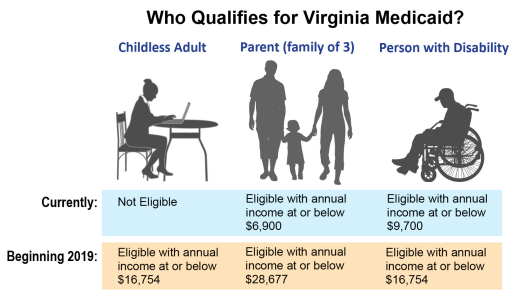 Check to see if you are eligible for Medicaid by using Cover Virginia's quick Eligibility Screening Tool. 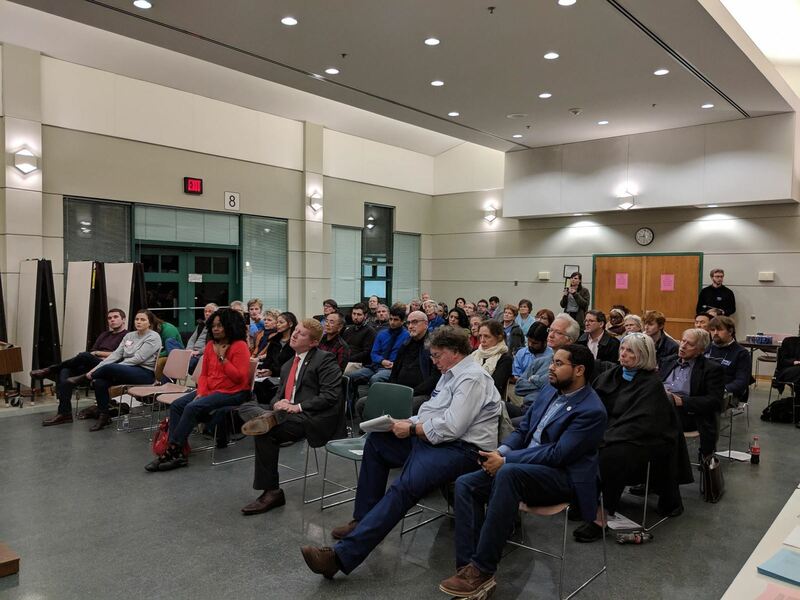 The Money in Politics in Virginia event drew a large, energized crowd. On November 28, I joined many grassroots activists and fellow legislators Delegates Marcus Simon, Mark Keam, and Lee Carter, and Senator Chap Petersen in speaking out against the corrosive influence of special interest money in our political system. I have long been an advocate for campaign finance reform. On this night, I talked about how the NRA and its allies use a vast array of allies, favors, and donations, primarily from gun manufacturers, to buy elections and influence over most politicians. You can watch my brief speech in the video linked here. My speech starts at the 30:00 minute mark. 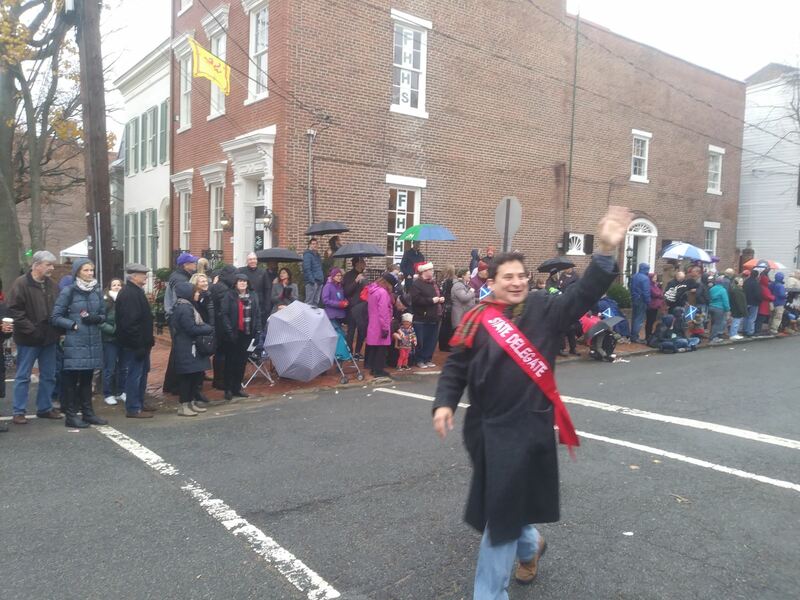 Walking in the Scottish Walk Christmas Parade in support of the Campagna Center. 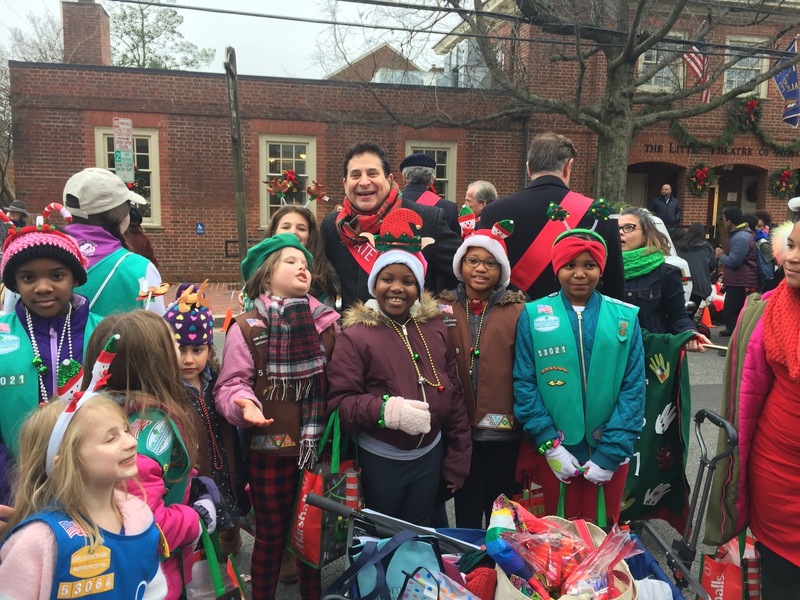 Always fun seeing the Scouts at the Scottish Walk! Delegates Kathy Tran, Eileen Filler-Corn, Debra Rodman, & Marcus Simon, and Senator Adam Ebbin. 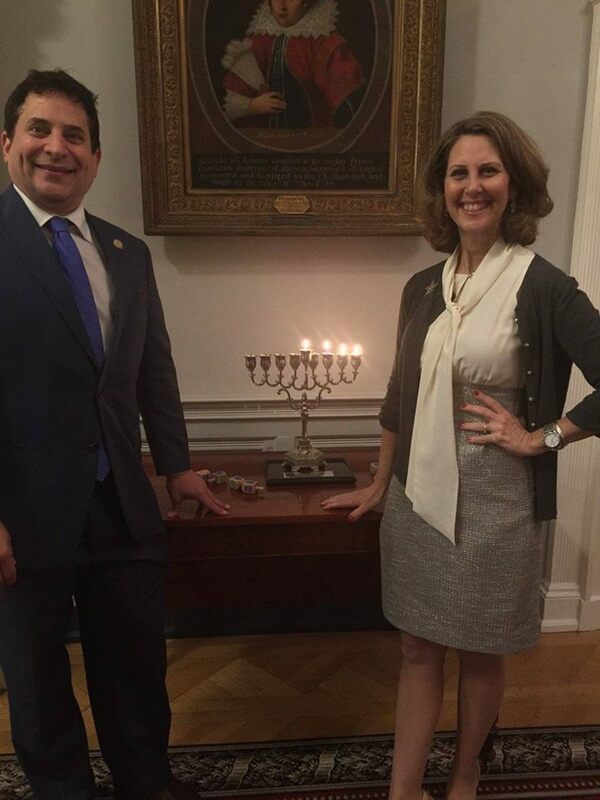 First Lady Pamela Northam knows how to throw a Hanukkah celebration! 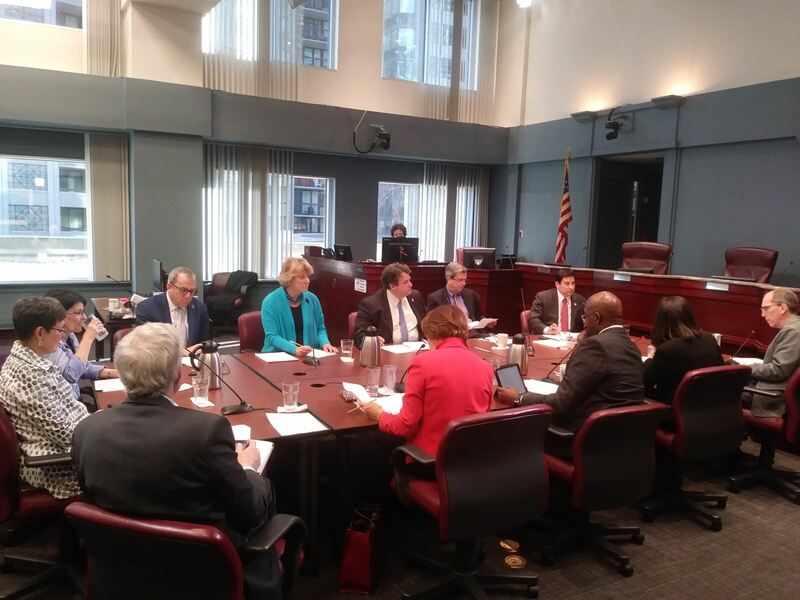 the county's legislative priorities for 2019 with the County Board. 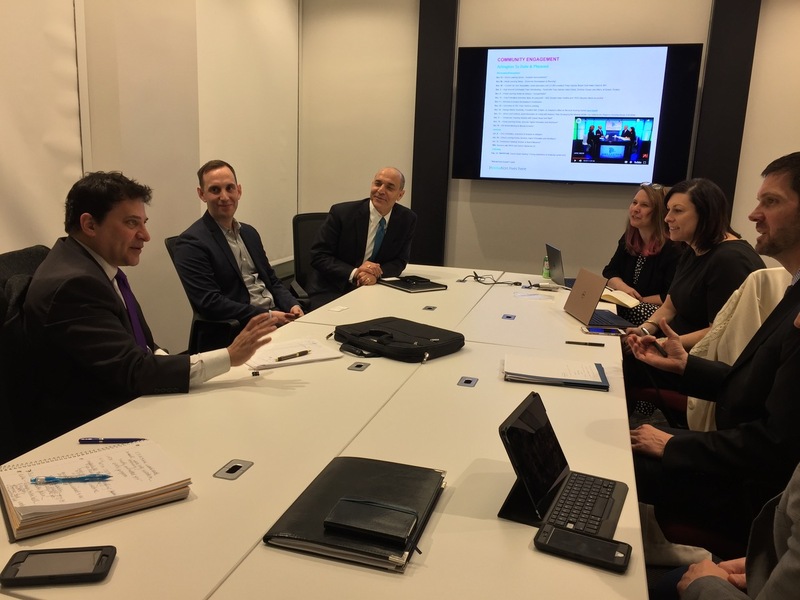 I met with Amazon staff and Arlington economic leaders to learn more about the Amazon HQ2 deal. 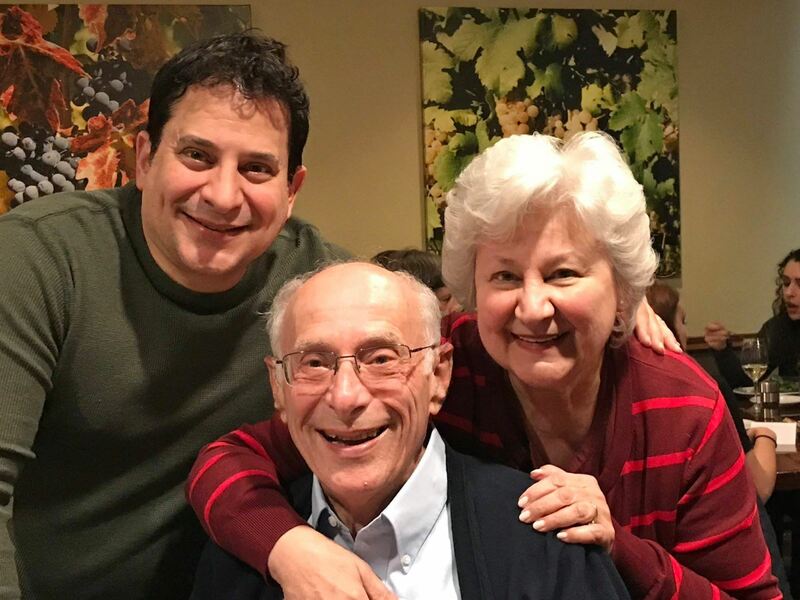 My parents and I wish you Merry Christmas, Happy Chanukah, Happy Holidays, and a Happy New Year!